Prominent & Leading Manufacturer from Pune, we offer d cut bag. We are engaged in presenting a superior quality range of D Cut Multicolor Bag. The provided bag is all-purpose carriers that can carry vegetable, sweet, cloth, fruits, and goods. Also, the bag is accessible in a variety of sizes, colors and shapes. Additionally, clients can get the bags crafted as per the specifications. Further, clients can buy this bag in bulk quantity from us. 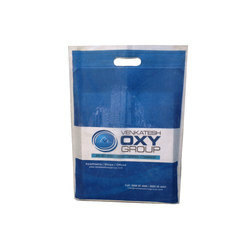 Looking for Printed D Non Woven Bags ?